Argentina made it to the quarter-finals where they were versing Belgium on Saturday. VAMOS ARGENTINA. I mean I love Belgium and all, I went there a couple of years ago and I love the people, the waffles and ESPECIALLY the chocolate. Mhmmm chocolate. (P.S. 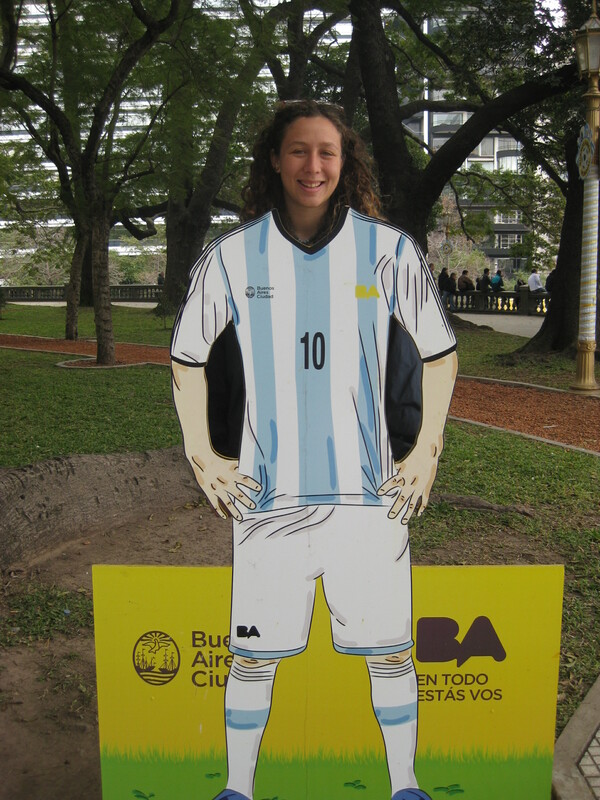 I don’t have a problem, just a passion) But come on, I am in Argentina right now. So I’ve heard in Buenos Aires that there is a giant screen to watch the world cup games where people come and scream and cheer and celebrate. There are festivities and vendors. Did I mention the giant screen? SOOO MUCHHH EXCITEMENT!!! 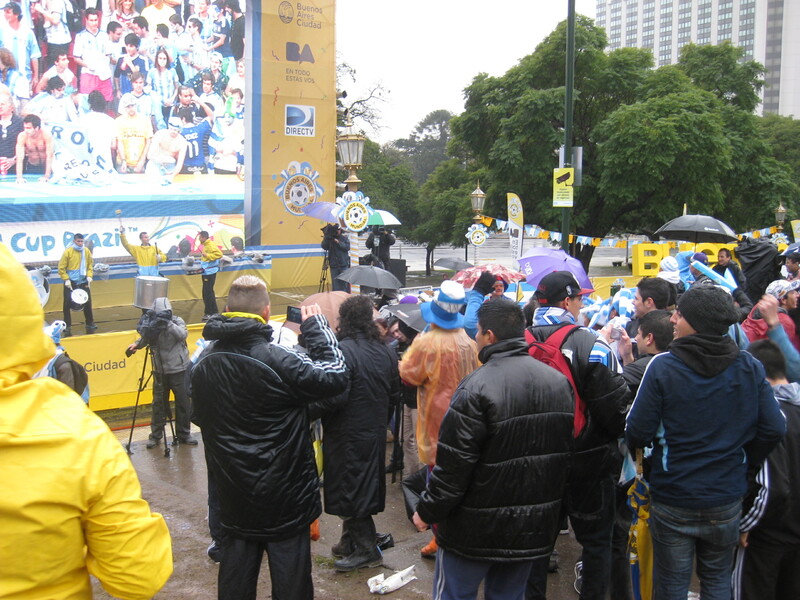 Argentine quarter finals world cup game in Buenos Aires, AWESOME!!! Did I mention it was raining. We ended up watching the first half in the safety of a mall. I know a mall. There was a giant crowd in the mall, watching a giant screen of the game along with several small screens showing the game so lots of people could watch the game…in a mall. 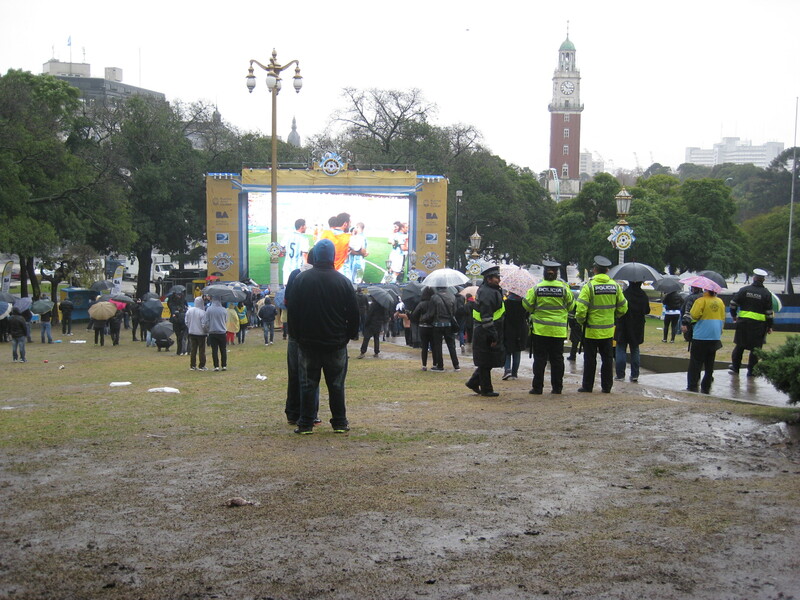 The second half we ventured to Plaza San Martin with the big screen. I really wanted that experience. There was a small crowd and the weather wasn’t terribly miserable. In fact it was tolerable until the screen blacked out. Yes, you read me correctly, the screen blacked out. We were about at the 90 minute mark, Argentina only up by one goal AND THE SCREEN WENT BLACK!!!! For a good couple of minutes. People were yelling and complaining. Some people left. Myself and my mother, we sought coverage underneath a small shelter and I frantically search online through my phone for live blog updates. I had little to no doubt they would get it back up and running pronto. It took a little longer than expected, but I suppose pretty fast Argentinian time standard.